I'm a CEO. How do I get people to really tell me the problems around here? You’re probably not surprised to hear we get this question a lot. If you’re like our clients, you’re a good person with a genuine interest in helping people and your company. You’ve worked hard to get where you are and you have an open door policy. And yet, you still get surprised by what you don’t know in your business. Do these situations sound familiar? Despite many CEO’s best efforts, receiving accurate information about the state of the company and the status of employee engagement rarely makes it to their offices on its own. This problem spans all kinds of industries and reaches companies of all sizes. We’ve found, through the best of intentions, information gets filtered as it moves toward you. There are too many details to share in the time available. People pragmatically distill information to deliver updates in a timely fashion. Your team appreciates how much is on your plate, so they give you high-level highlights and move on to the next agenda item. Positive news is easier to deliver and is better received. Everyone likes to be the bearer of good tidings. And when leaders listen on the defensive, employees notice and protect themselves from emotional blows. Responsible people are expected to bring solutions, not problems. Employees fear that raising problems irritates leadership and is seen as weakness. People want to be seen as competent problem-solvers. Bringing less-than perfect situations to the attention off the boss may be perceived as the team member showing they are not competent or able to successfully do the job. So how can you, dear CEO, find out what’s really happening in your organization? How much do your employees trust you want their feedback and believe they can deliver bad news safely? How much time have you invested time in building honest, two-way relationships with your employees? When have your employees seen you admit weakness or uncertainty, or express the desire to work through problems with your team? If these question cause you to pause, you’re in the right place. 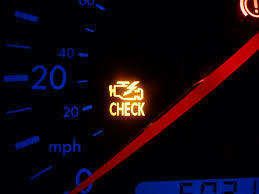 Trust is the oil that can lubricate your organization to run more smoothly and effectively - and get you to know what’s really happening earlier than when the red check engine light goes on! One of the most effective ways to build trust is through effective conversations with your employees. Here are two great conversation starters, along with don’ts and do’s to make these explorations successful. Don’t: Do open-problem surgery. Drilling down with Why? can imply blame. What do you think we should try? How could we make that happen? Don’t: Explain why you are doing what you’re doing or demand specific examples. You may think you are providing or getting information, yet employees experience this as you being defensive. CEO, this is tough work leading you to some of the most valuable insights you can have. By connecting authentically with your employees, you can build trust, get to know what’s really happening, and uncover problems bubbling beneath the surface. We hope these tips help you to genuinely understand what employees are experiencing. We’d love to talk with you about how implementation is going.